As climate change is warming our planet, the ice in Earth's cryosphere is melting -- from glaciers to mountaintop ice patches to permafrost. An unexpected result of this melting has been the discovery of artifacts that were long preserved in the ice's depths. Tools, clothing and, perhaps most remarkable, human bodies have been revealed at the edges the retreating ice. Examining these discoveries, along with traces of plants and animals also melting out of the ice, is the work of researchers in a brand-new scientific field called glacial archaeology. This one-of-a-kind introduction to the work of these researchers examines some of the fascinating artifacts that have been uncovered and the insights they provide into how our ancestors lived. It also describes the urgency of this work; as soon as these clues to the past become exposed to the elements, they begin to disintegrate. 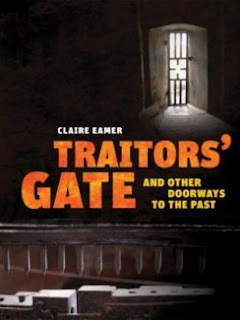 Award-winning author Claire Eamer keeps the interest level high with her intriguing stories, organized into thirteen chapters. The accessible text is complemented by loads of eye-catching visuals, such as photos of actual artifacts and mummified remains, along with Drew Shannon's full-color illustrations. The table of contents, timeline, references, glossary and index enhance the book's classroom utility. 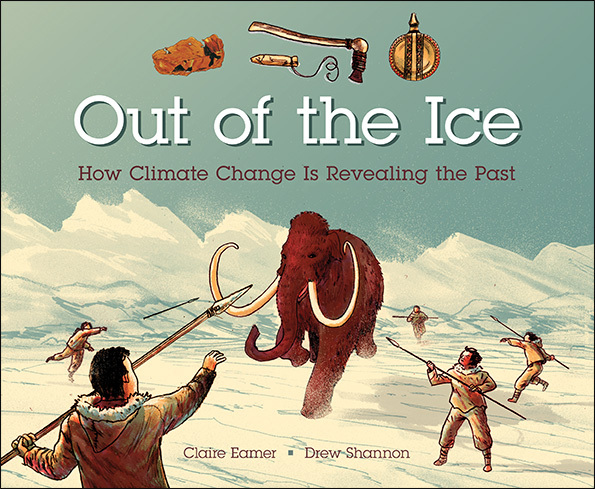 This timely book is an excellent choice for updated lessons on the impacts of changes in the environment. Information here covers subjects ranging from science and technology to environmental studies to history and geography. What a Waste! Where Does Garbage Go? Yes, garbage is disgusting, but it’s also fascinating. Piles of garbage dating back to prehistory reveal how people lived, what they ate, and how they prepared their food. But garbage is also a problem. From leaving it in ancient caves to dumping it at the very edge of space, people have always had the challenge of what to do with it. And now that challenge has reached epic proportions as the world runs out of places to throw garbage away. What a Waste! 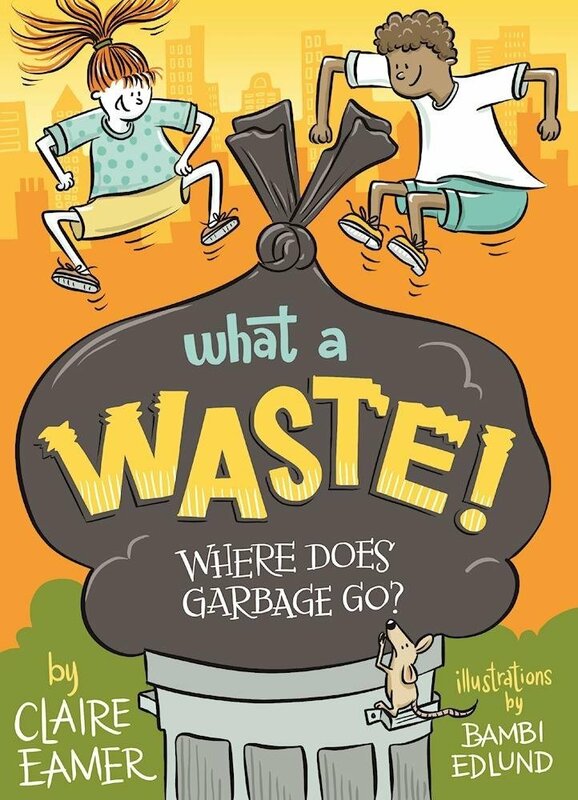 delves into the weird and fascinating world of garbage, covering topics like water pollution, modern “throwaway” culture, landfills, human waste, and recycling. 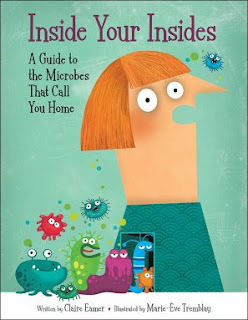 The highly visual treatment with lots of sidebars and humorous illustrations makes this an engaging, kid-friendly introduction to an important issue. Wherever you go, tiny hitchhikers tag along for the ride. The hitchhikers are actually microbes --- tiny living things so small that you need a microscope to see them. And every person carries around trillions and trillions of these critters. Readers will be startled (and likely a little grossed out!) by the many places they live, both inside and outside our bodies. Just as surprising, only some of them are bad guys that cause disease, and many of them are actually good guys that keep us healthy. There's even research currently being done on ways to improve or fix our collection of microbes as a way to make us healthier. Eight fascinating tales of scientists and inventors ahead of their time. Earth revolves around the sun. Washing hands helps stop the spread of disease. Pesticides can poison the entire ecosystem. Today, these ideas are common knowledge but at one time, they were all rejected. In this thought-provoking book, you’ll find out what happened when people weren’t ready to listen to innovators who came up with revolutionary ideas. 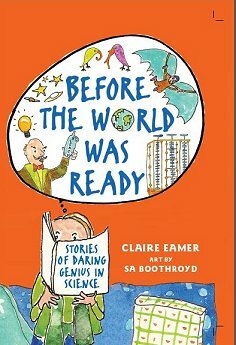 Discover how Alfred Wegener struggled to convince geologists that the ground beneath our feet is moving, why “mad scientist” Nikola Tesla’s futuristic ideas about electricity were dismissed, why Charles Darwin delayed publishing his controversial theory of evolution for decades, and how Charles Babbage and Ada Lovelace nearly invented the first computer in the 1800s. You’ll also meet Copernicus, Ignaz Semmelweis, George Cayley, and environmental pioneer Rachel Carson, all of whom endured great hardship for daring to think differently. A ham sandwich on white bread. Macaroni and cheese. Peanut-butter-and-banana roll-ups. They may sound like ordinary items, but they take us on an amazing journey through the rich history and astonishing science of food. Explore a week of lunches—from apples to pizza—by taking a romp through thousands of years of extraordinary events. Some are amusing, like the accidental invention of potato chips. Others are tragic, such as the Spice Wars, which killed thousands of people. 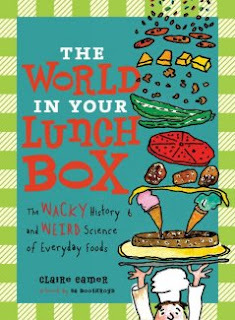 With a vibrant design and quirky illustrations, THE WORLD IN YOUR LUNCH BOX is like the perfect lunch: satisfying, well-balanced, and totally delicious. Published by Annick Press, 2008. Take a walk in time by passing through eight remarkable entrances with kings and queens, saints and slaves. In this book, the glorious and sometimes blighted history of doorways unfolds in profiles that tell the story of each history-rich portal. As well as Traitors' Gate, the much-feared entry into the Tower of London, you'll find doorways that lead into al-Khazneh, carved into the side of a cliff in southern Jordan, Sankoré Mosque in Timbuktu, Rome's Castel Sant’Angelo, and a slave-trade castle in Ghana. The Meridian Gate opens into Beijing’s Forbidden City. A gold-encrusted doorway in the Kremlin once led nervous subjects into the presence of the infamous Czar Ivan the Terrible. And a T-shaped doorway in Spruce Tree House in the southwestern United States is a silent reminder of the people who abandoned their cliff village centuries ago.